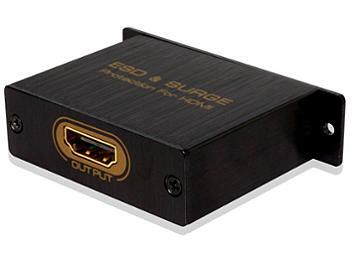 Protect HDMI input and output for ESD and Lightning Surge. Meet IEC 61000-4-2 (ESD) +/-15kV (air), +/-8kV (contact). Meet IEC 61000-4-5 (Lightning) 5A (8/20µs). Support HDMI 1.4 with 3D,4KX2K and HEAC.